Jacob van Strij was very successful in satisfying the late 18th century demand, particularly form aristocratic English buyers for the works of the famous 17th century artist, Albert Cuyp. Van Strij was noted for differing form Cuyp by his more colourful accents and his ability to "infuse the sky with a lovely golden glow." This golden glow is quite apparent in this painting. 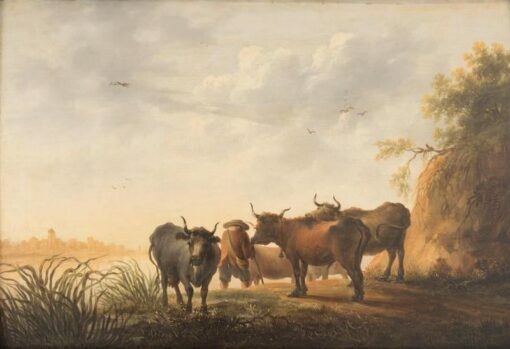 Van Strij's grass leaves do not have the white highlights found on Cuyp's. The painting of the horseman with the red jacket is a Van Strij in the Rijksmuseum in Amsterdam. 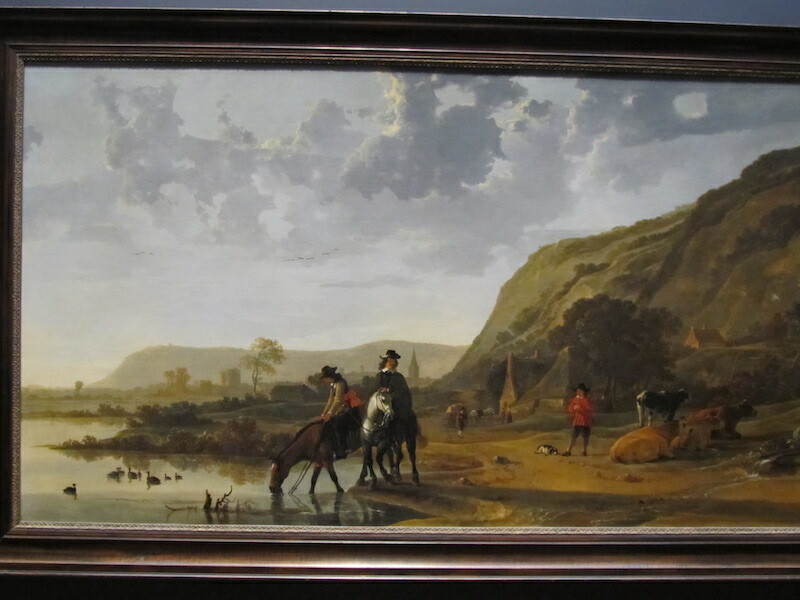 The painting with the horse drinking from the river is a Cuyp in the Rijksmusem. Our painting is on a panel made of three mahogany boards, as was customary with van Strij. Cuyp's panels were of native woods. Jacob van Strij was very successful in satisfying the late 18th century demand, particularly form aristocratic English buyers for the works of the famous 17th century artist, Albert Cuyp. 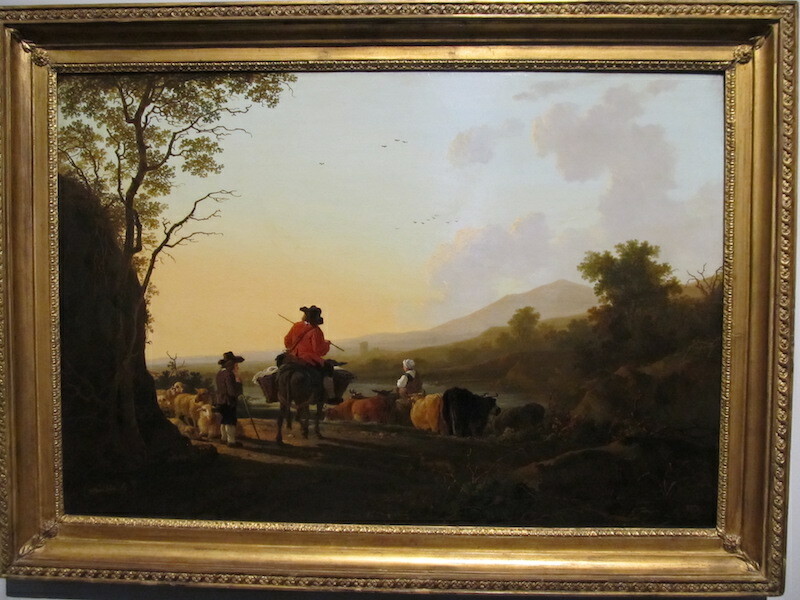 Van Strij was noted for differing form Cuyp by his more colourful accents and his ability to “infuse the sky with a lovely golden glow.” This golden glow is quite apparent in this painting. Van Strij’s grass leaves do not have the white highlights found on Cuyp’s. Our painting is on a panel made of three mahogany boards, as was customary with van Strij. Cuyp’s panels were of native woods.